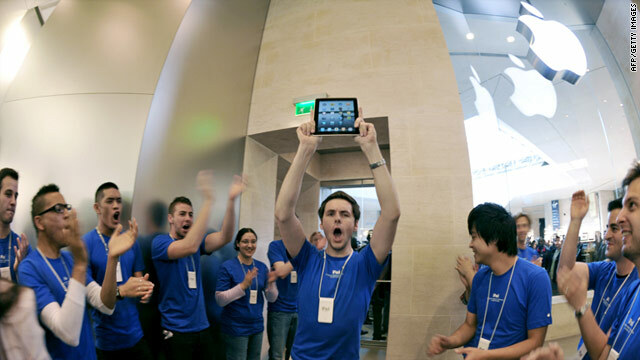 At product launches, Apple store employees cheer for the first customers to buy the company's latest gadgets. (CNN) -- Next time Grandma asks why you're going to the mall on Sunday morning instead of church, tell her you're going to Apple Chapel. A blog, aptly titled Cult of Mac, wrote on Thursday about Oakland, California, resident Gary Allen's cross-country pilgrimage to Apple's first store in Virginia to celebrate the retail chain's 10th anniversary this week.